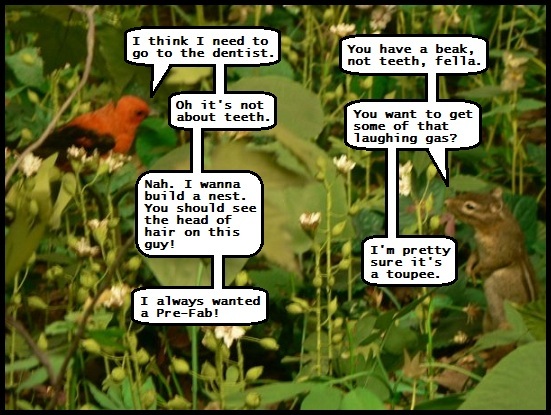 The Illiterate Badger | New comics Monday, Wednesday & Friday: Commentary of the Forest 35: Home Building. Commentary of the Forest 35: Home Building. A toupee would be a hell of a find for a nesting bird. Get a couple, stack them, and you've got yourself a pre-fab bird mansion.